How to make your makeup brushes last longer? A makeup brush provides a lot of coverage and helps one create so many dramatic look. Sure, good quality makeup brushes don’t come cheap, but they’re definitely worth every penny. Ideally, a brush collection should include an eyebrow defining brush, comb, eye shadow brush, large powder brush, thin eyeliner brush. Many women prefer applying foundation as also lipstick with brushes. However, maintaining a brush is also important. 1. 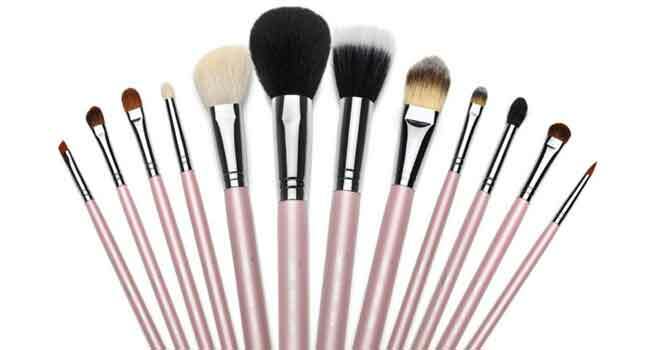 Good quality– Quality makeup brushes that last for longer use should be bought. What is useful is all-natural brushes that are made of goat, squirrel, sable hair. They might cost a lot, but they will definitely last for years if proper care is taken. 2. Variety – What is necessary is to further increase the collection of your brushes. 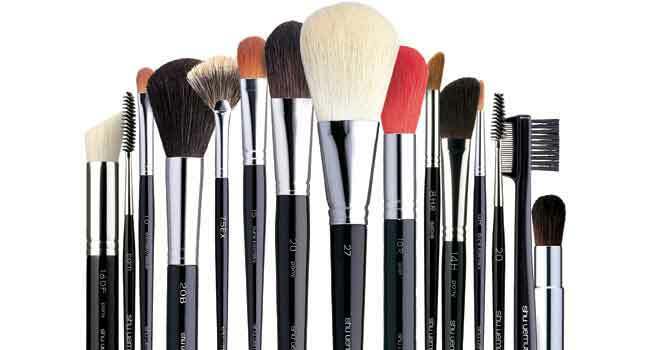 Refrain from using the same number of brushes for everything that you put on, since they will to wear out faster. Pick a eye shadow brush and use it for light colours and the other one for dark colours. Use a blush brush instead of powder brush. 3. Hygiene – Remember to wash your brushes every other week. What can be done is, you pick up a formulated brush wash or even baby shampoo. Now, after washing, you let the water run over the brush until it’s completely clear, try to make sure all the traces of foundation, blush and eye shadow have vanished. Squeeze out whatever excess water is left. Lightly, pat the brushes with a towel and lay them to dry. Let them rest a couple of hours before using them again. 4. You can also make brushes last by protecting them from some sunlight, dust and any other elements. Then, store the brushes in a bag with different compartments for each brush. Try avoiding bags with zippers, bristles might get caught in them. Clean them with soap and water. 5. Change.Toss out the old makeup. Use the dirty makeup that wears the brushes down. This might also spread certain bacteria in your face. Don’t use anything that smells and get throw out anything you’ve had for more than a couple of years. Eyeshadow will probably last for 3 years. 1. Don’t make the newly washed makeup brushes to stand upright to dry them. This might cause uneven drying. It may also make the barrel of the brush bloat because of extra moisture. 2. Don’t let your brushes soak while overnight. This will break down the hair. 3. Don’t share your brushes with anyone, especially if they’re the eye brushes. 4. Cleaning your makeup brushes is important thing. Once a week, mix a mild soap in some warm water in a glass. Swirl your makeup brushes around to make sure the bristles don’t have any dirt and oil that they may be holding onto. 5. Don’t apply aggressively. Do not push and shove your brushes into your makeup and on your face, this will spread the bristles out and bend them in unnatural directions, causing a fraying to happen. Once the bristles get spread, application won’t be as perfect. 6. Keep the plastic brush covers. Keeping them on the brushes when not in use will help the shape of the brush true to form. 7. Start investing already. If you start with good brushes, you’re only doing yourself a favour here because they will last and prove to be useful in the long run. You know what they say, you get what you pay for. Also Read:How to Clean your Makeup Brushes?